Huawei is all set to launch its latest smartphone Honor 5A with 5-inch HD display, 720x1280 pixel resolution. Now, you just purchased the newest Huawei Honor 5A and was wondering how to download and transfer YouTube videos to Huawei Honor 5A for enjoyment offline? An easy way to download and trnasfer YouTube videos to Huawei Honor 5A will be introduced in this article. 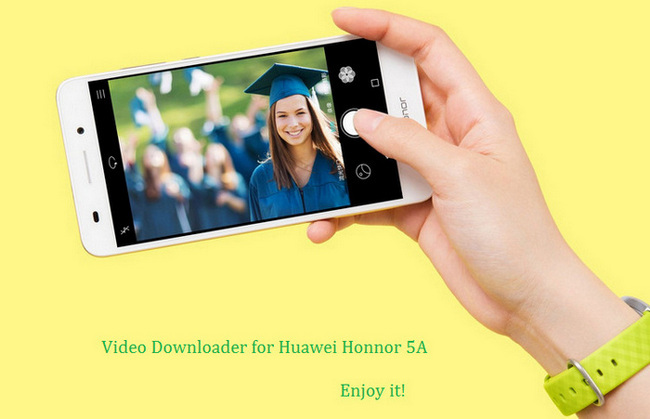 Simply download and install the Free Huawei Honor 5A Video Downloader on your computer to start downloading videos from YouTube to Huawei Honor 5A. Step 1. Add video urls and start downloading YouTube videos to Huawei Honor 5A. Press the Add URLs button, then a dialog will pop up, just click icon, and paste the YouTube download link to it. Note: Before downloading YouTube videos. 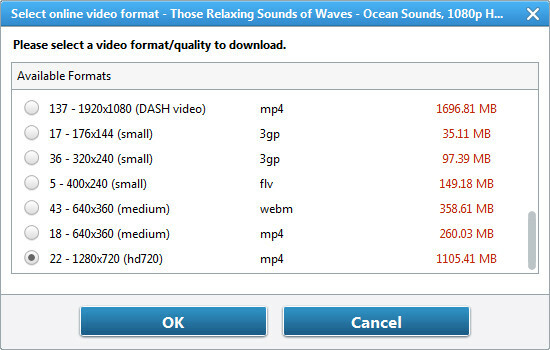 You can choose Manually Select, Best Quality, Smallest File Size under Select Format. 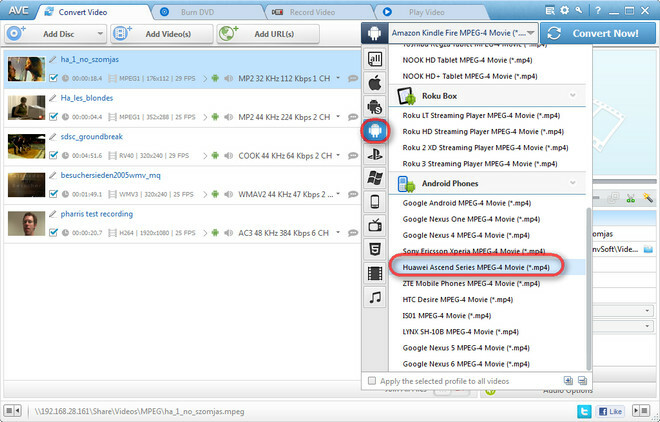 When you choose "Manually Select", you will get a window pop up during downloading videos thus you can choose the video format you need. Step 2. Find the downloaded YouTube videos. More Tips: How to Convert Videos with Huawei Honor 5A Video Downloader? However, when you try to enjoy these fantastic videos of shot by your Huawei Honor 5A, you may get failed. For example, when you download an amazing movie from internet, but your mobile phone doesn’t support its format. Do not feel panic, Huawei Honor 5A Video Downloader can do you a favor, which can convert any videos including MP4, MPEG, VOB, WMV, 3GP, 3G2, MKV, MOD, M2TS, RMVB, AVI, MOV, FLV, F4V, DVR-MS, TOD, DV, MXF, OGG, WEBM, 4K video ,etc to other videos format that your device supports. Step 1. Add videos to this program. 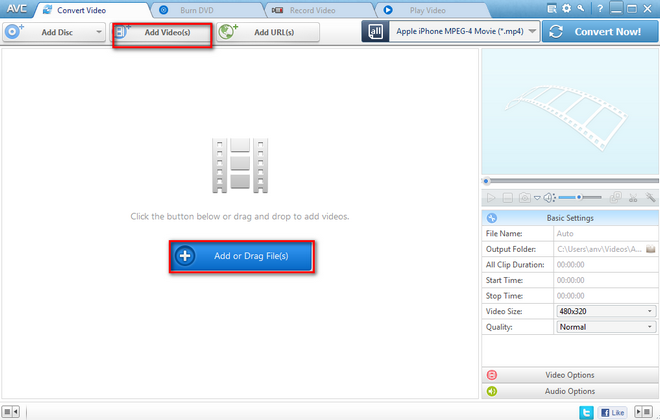 You can click “Add Videos” or “Add or Drag Files” to add the movies you want. Step 2. Click “Output Profile” drop down menu to select output format for Huawei Honor 5A. For better enjoying videos on your Huawei Honor 5A, Huawei Ascend Series MPEG-4 Movie (*.mp4) output format is highly recommended. Step 3. Start converting your videos. Just click “Convert Now” button to start converting videos to Huawei Honor 5A. 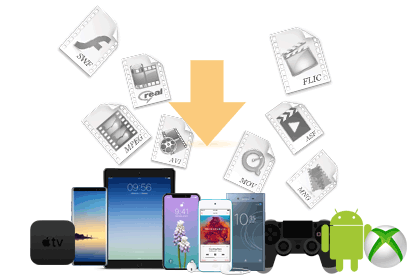 Once the conversion fished, you can click "Output Folder" button to get the MP4 files and import the converted videos to your Huawei Honor 5A.